It’s that time of year again when we start hearing about babies and small children who’ve been left in hot cars for hours. This often unintended mistake usually results in the death or injury of young children. It’s hard to accept the outcome because it could have been avoided. 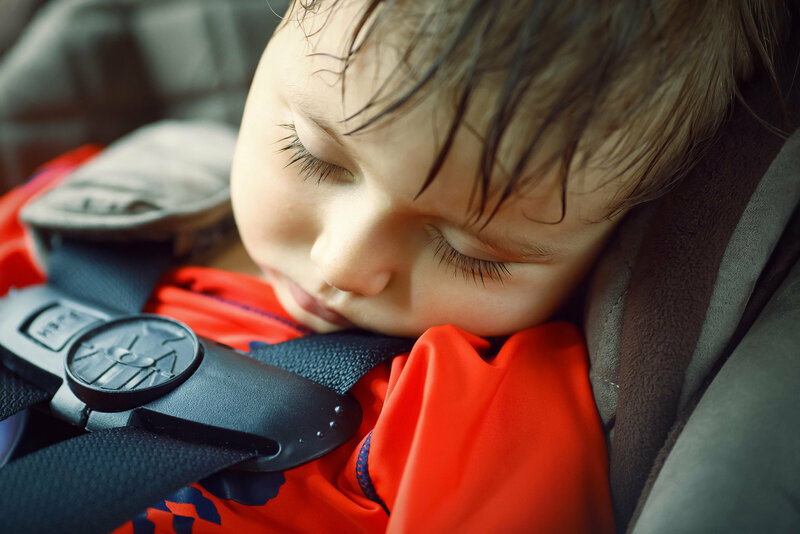 Children locked in hot cars is however just one of the tragedies that can result during hot summer months. During this time of year, hot summers present an array of issues for adults and children alike when spending time outdoors. For the few months of the year when we don’t have to worry about snow, sleet and ice, there’s no shortage of activities to entice us out of our homes and to spend some time outside. Despite all the excitement we’re promised, we still have to take precautions when spending time outside and must be prepared as much as possible and above all else, safe. The result of lack of or poor preparation is the onset of symptoms related to heat stroke. Babies are more susceptible to overheating and signs of this can include vomiting, a flushed red face, their inability to settle down (due in part to restlessness) and dry skin. If a baby is suffering from a headache brought on by heat stroke, they’re unable to vocalize this and it can add to a parent’s concern when trying to settle a baby who isn’t feeling well. To avoid the dangers related to the symptoms of heat stroke, here are options on how to prepare your baby for time spent outside. Breastfeed or offer formula to infants to keep them hydrated. Although milk and formula are usually enough to starve off dehydration, it’s OK to offer small amounts of water as well. Much like ours, your baby’s body loses a lot of water through sweating and essential body functions so it’s key to replenish this water loss as often as possible. Babies don’t necessarily know when they’re thirsty (don’t get me wrong, they know when they’re hungry and will let you know very quickly) so frequent feedings are helpful. Breast milk is already at the perfect temperature to quench your baby’s thirst. There’s no need to warm up formula if you generally do so. Serving it at room temperature ensures that it’s cool enough for your baby to enjoy and feel satisfied. When heading out for the day be sure to pack extra breast milk or formula just in case and store them in a cooler bag to keep them fresh. Dress babies in light and airy clothes during hot days, they don’t need more layers than an adult would in the same conditions. Avoid putting them in tight clothes since this can cause your baby to feel uncomfortable very quickly. Babies need to wear clothes that are breathable, that will keep them cool and prevent overheating. There’s no shortage of cute clothes for babies but that isn’t important right now. Simple tops with long sleeves and long pants are good options to keep your baby’s skin protected but still cool enough to be comfortable. When you’re heading outside, always remember to put a hat on your baby. Sunglasses aren’t only cute but they can offer some protection from bright sunshine (that’s at least one cute accessory). Finally, if you’re using a stroller, pull the hood forward as far as possible to provide additional protection from the sun. A quick and easy way to cool both you and your baby down is a light mist of water. No need to buy anything fancy (you can now get mineral infused sprays), just fill a cheap spray bottle with an adjustable nozzle with water and you’re all set. If you’re planning on spending a lot of time outside, be sure to throw this into your diaper bag and pull it out as needed. Your baby will love the light mist on their face, arms or legs and it’ll go a long way to keep them cool and provide much needed relief from the heat. They might also find it funny to see you spritz yourself in the face. Hands down, you can’t go wrong with this option, our bodies are made up of large amounts of water and a light mist spray can help boost body functions (as the water evaporates). If you notice your little one has a red face, a light mist around her head will help to reduce the irritation. Some babies prefer to sleep during the day rather than at night when parents are exhausted (who can relate? ), although not always ideal, take advantage of this. If your baby wants to take frequent naps throughout the day let them. The heat can make anyone feel fatigued very quickly so it’s understandable that your baby will want to sleep more than usual. This is even more true if they’ve been active throughout the day, they’re going to be exhausted. There’s no need for blankets or sleeping sacks, allowing your little one to sleep in just a diaper is OK. Although stylish, bumpers on the sides of a crib aren’t necessary since they can restrict air flow through the crib. To ensure your baby has a cool room to sleep in, close the curtains to keep out extra heat. A slightly darker room will allow them to sleep more soundly as well. Don’t forget to pack a hat and an umbrella if you plan on spending a lot of time outdoors in the heat. Even in the shade use sunscreen formulated for babies and be mindful of the SPF (sun protective factor). An SPF of at least 30 is recommended and basically means that your baby stay out in the sun for 30 minutes longer than they would if they weren’t wearing any sunscreen. One very important thing to remember is to be sure to apply sunscreen to your baby’s face. Since their faces are exposed all the time, they’re more susceptible to burning. Of course shade isn’t always a relief based on where you live, often times it can be just as hot in the shade. If you can relate to this, try not to spend as much time outside since you’re not getting a break from the heat. When you’re outside, avoid over exertion. A nice leisurely stroll with your baby in their stroller is fine, there’s no need to power walk or jog unless you really want to. If your baby’s older and walking, monitor their activity levels since running around will burn energy quickly and leave them feeling drained. Parents of active babies or toddlers know that it can be a challenge for their little ones to slow down but it’s for your benefit and your child’s to take it easy while outdoors. Exercise and physical activity are generally great but excessive physical activity can bring on feelings of dizziness and lethargy due to dehydration. Of course your baby or toddler won’t fully understand this but try your best to get them to slow down and take breaks. Another option is to choose to venture outside when the sun isn’t so high and temperatures are more bearable. 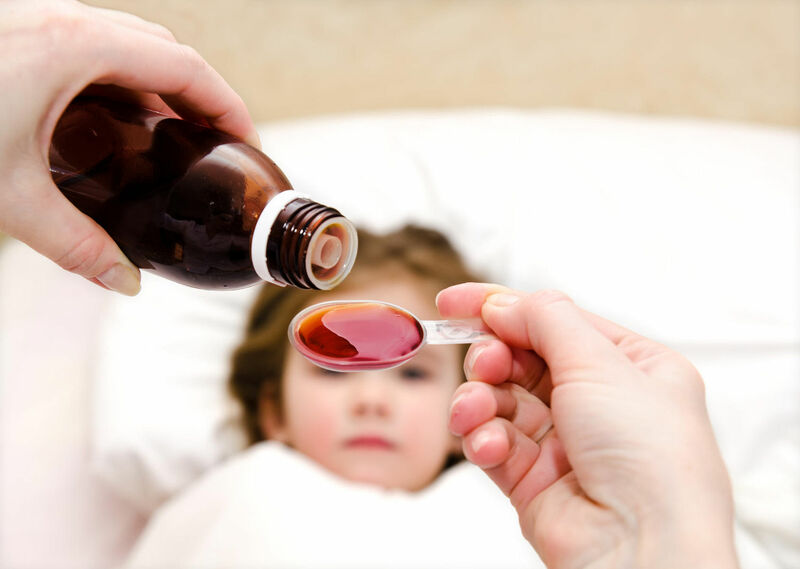 If your baby is on special medication, it’s important to be extra vigilant when they’re out in the sun since some medications can cause the onset of heat stroke. They may overheat much quicker as a result and will need to spend a lot of time in the shade re-hydrating with fluids. It’s best to remain indoors until the heat of the day begins to subside. Always consult with your doctor if you’re unsure of what to do and determine whether your doctor suggests certain precautions for very hot days. It’s understandable that you don’t want your baby to spend the majority of their summer days indoors but it’s always best to ere on the side of caution. Manage their medication and hold on to the fact that there will be future summers where they can spend more time outdoors. If possible, travel early in the day or later in the day to avoid extreme heat conditions. Never leave a baby or small child alone in a hot car for any amount of time. Temperatures can climb very quickly (sometimes in a matter of minutes) and babies and small children can become overheated just as quickly. Put up a sun shade in the window next to your child so that direct sun doesn’t hit them. They can burn easily since they can’t move. For babies in rear-facing car seats, pull the hood forward if the seat has one. This will provide some shade for your baby. If possible, park in a garage to keep your car cool before you enter it again. When returning to a hot car, roll down the windows and wait a few minutes before buckling in your child. If you have to park outside, consider putting a sun shade up in the windshield to block out heat waves. It’s summer and since you want to be outside, consider spending some time at a pool or splash pad. The advantage of this is your baby’s core temperature will remain stable and they’ll love the opportunity to splash around and kick their legs a little. Either indoor or outdoor pools will do the trick. If you’re at an outdoor pool, it’s important to apply sunscreen to your little one. While sunscreen can’t be touted as water-proof, it can be considered water-resistant. Spending time in the pool or at the splash pad will require you to reapply the sunscreen about once every hour (or based on the label’s recommendation) to ensure your little one is protected while outside. If you’d rather a non-chlorine option, giving your baby a cool bath during or at the end of the day will also do the trick. It’ll cool them down and relax them. Slings for babies are very popular because they promote skin-to-skin contact and bonding between parent and baby. If this is your preferred method of carrying your baby, be sure to choose a carrier made of material that’s breathable (ex. cotton) and doesn’t result in overheating. Some slings will even allow you to cover your baby’s legs so that they aren’t exposed to the sun. As previously mentioned, sunscreen is still important to use as well as a hat on their head. Make sure you’re not wearing too many layers either so that you’re not releasing too much body heat thereby making you both uncomfortable. You’ll know your baby is overhearing if they’re sweating or if they feel hot to the touch. Some slings will allow you to modify how you carry your baby. Instead of holding them in place in front of you, some will allow you to carry your baby on your back or on your hip. Choose what’s comfortable for both of you and doesn’t make you feel overheated. Use air conditioning or a fan to keep things cool indoors. Don’t let it get too cold or let cool air linger on your baby for extended periods of time. A hand held fan also works; it you have the patience you can fan your baby throughout the day or as they drift off to sleep. They’ll get a kick out of it and it’ll calm them down if they’re feeling hot and uncomfortable. As a mom of a baby you may be eager to get outside for some fresh air, especially in the summer. If you really want to get outside, then either do it early in the morning (we all know moms of babies are up early anyway) or wait until the evening when the sun’s much lower and the intensity of the heat has died down. Another way to keep cool while indoors is to close curtains to keep the heat of the sun at bay. While indoors you’ll no doubt be preparing meals for your family. Prepare meals that don’t require a lot of time on the stove or in the oven. Depending on whether you have access to an air conditioning unit or a fan, your home may warm up very quickly due to cooking at high temperatures. While not exposed to the heat of the sun, the high temperature indoors can be uncomfortable for a baby and can cause them to be irritable. If possible, use the stove or oven later in the day when the heat is less intense and prepare light meals during the day to minimize the amount of heat you and your baby are exposed to. Every situation is different so this is based on personal choice. In addition, it’s best to reduce the use of appliances that produce heat. If convenient, save your laundry until later in the day to minimize the amount of heat generated in your home. Or hang clothes up outside to dry. If you live in a particularly hot climate, you can slowly acclimate your baby to the weather. Rather than spending large amounts of time outside at once, gradually build up their tolerance by starting with a few minutes a day and work up to longer periods. Even as you begin to spend more time outside, continue to take breaks from the heat to allow yours and your baby’s bodies to get a break. It may take some time for your baby to fully acclimate but it’s best to take it slowly to ensure that they’re adapting and becoming more comfortable at a safe rate. Another approach is to acclimate indoors before heading outside. We all feel the drastic change in temperature when we leave the cool indoors for the heat outside so consider turning off fans and your air conditioning to allow your body to adjust to warmer temperatures before heading outside. If you’re seeing symptoms and you’re not sure of what to do, see a doctor as soon as possible. Symptoms can progress very quickly in some and may not give you enough time to seek and implement preventative measures. In some cases, symptoms aren’t present and your baby might already be suffering from the effects of heat stroke. If you think that your baby is suffering from the effects of heat stroke, try to cool them off by moving to the shade (an even better option would be to go inside if possible) and wiping their head and neck with a cool, wet cloth. If you’re able to, put a cold compress on different areas of their body to help slow down the progression of heat stroke. The purpose is to lower their body’s temperature back down to normal levels until they can be examined by a medical professional. If your baby has started eating solid foods (typically around the six-month mark), you can give them foods that have a high water content and will reduce the risk of dehydration while you’re out and about. Instead of sugary snacks, give them fruits and vegetables such as cucumbers, pears, kiwi and watermelon to do the trick. In addition to the relief they provide, these foods are also nutritious, have natural sweetness and work to replenish nutrients that are lost through sweating and exertion. Not only will you be protecting your baby from potential heat stroke, but you’re also teaching them healthy habits and building their preference for healthy snack options. This sounds like an all around win for both you and your baby so why not give it a try. If your baby is drinking more water as they get older, consider infusing some of these fruits into their water. We as adults do it for ourselves, babies may appreciate the flavoring if done right.